Specialised at Central Coast removals and furniture moving services. DLM Removals & Storage are here to assist with all your home or office furniture moving needs. From pickup to delivery, our Central Coast removalists are experienced and trained to handle any moving service need. With over two decades of Central Coast removalist experience. Request a free Central Coast removalist quote today to ensure you get your preferred moving dates. Central Coast removals done right. Our Central Coast removalists are equipped to handle all types of loads. We specialize in Central Coast interstate removals. We own a fleet of trucks ranging from B-Doubles for affordable Central Coast Backloading to smaller 40 cubic meter trucks to assist with smaller Central Coast moves. When you deal with DLM Removals & Storage. You are dealing with a company that has the industry knowledge and knowhow. Over 18 year’s experience dealing with furniture and Central Coast removals. Our Central Coast movers are skilled with at least 2 year’s experience and know how to handle furniture. We have relocated over 31,000 customers nationwide. DLM Removals & Storage have been operating as a preferred Central Coast interstate removalist for over two decades. Providing transport services for both home and office furniture goods. Our expertise range from packing, loading and unloading trucks filled with furniture and goods. DLM Removals & Storage will accommodate any Central Coast interstate removal service. 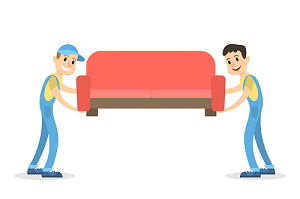 Securing your furniture on a truck for a Central Coast interstate removalist service including, packing wrapping and stacking your goods on a truck. Central Coast Interstate moves are nothing new to DLM Removals & Storage. 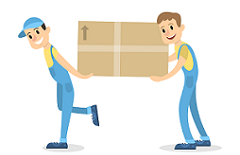 We will ensure your goods are moved interstate to and from Queensland, New South Wales, Victoria, Northern territory, Tasmania and the Australian Capital Territory with ease. Central Coast backloads done right. Our Central Coast Backloading services provide a door to door pickup and delivery of home or office furniture goods. We pride ourselves on providing a professional Central Coast Backloading service at affordable rates. Cheap interstate backloading prices are available. With a large Central Coast client base full of satisfied businesses. DLM Removals & Storage can relocate business furniture throughout Australia. Central Coast business removalists with the industry knowledge and knowhow. Central Coast business movers equipped to handle all types of loads and sizes with custom freight moving services available. Saving you time and dollars! Dealing with one company for all your storage and moving requirements is an excellent way to simplify things. We can provide long to short term storage in two locations as a part of your Central Coast removals or Central Coast Backloading service. To help you with your Central Coast removal service. We have set up a few helpful links to help you get a better understanding about what to expect and prepare for when it comes time for you to either move to or from Central Coast. 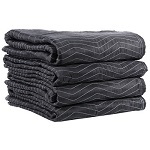 Please review our packing tips page here. When it comes to Central Coast moving home service. Getting a moving home checklist is a clever idea. It will help you manage all the details of moving such as an inventory list. Finding a moving company can be a daunting process. There are many moving companies that will be able to provide a moving home Central Coast service. DLM Removals & Storage have the industry knowledge and knowhow to complete a Central Coast removal process with ease. Our Central Coast removalists are experienced and trained to handle all types of furniture goods from pickup to delivery. Furniture comes in many shapes and sizes. It is sometimes too difficult to move some types of furniture on your own. That is how an experienced Central Coast furniture mover can assist. Using specialized techniques, they will pack, wrap and stack your good on a truck for a safe and secure transportation of goods. Specialising in interstate Central Coast furniture removals, DLM Removals & Storage can provide a free interstate removals quote based on individual needs and wants. DLM Removals & Storage are happy to assist with any move to Central Coast. We will provide you with a cost-effective removal service. Helping you organise and put into place everything required for an interstate furniture move to Central Coast. DLM Removals & Storage removalists will pack, wrap and stack your goods to ensure a safe and secure transportation of goods. When it comes to move from Central Coast. There is no effortless way around getting the best price and reliable service. DLM Removals & Storage have been operating for over 18 years. Moving furniture goods both large and small for residents and businesses around Australia. Providing you with a cost-effective Central Coast removal service that is both reliable and easy!